#605 Woodsey Mayor Goodgrub Mole. 1981-1982. 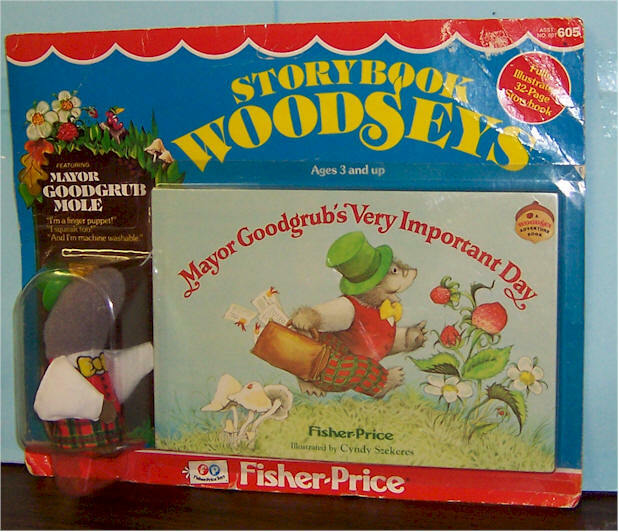 "Mayor Goodgrub's Very Important Day" 32 page book and Mayor Goodgrub figure. #606 Woodsey Bramble Beaver. 1981-1982. 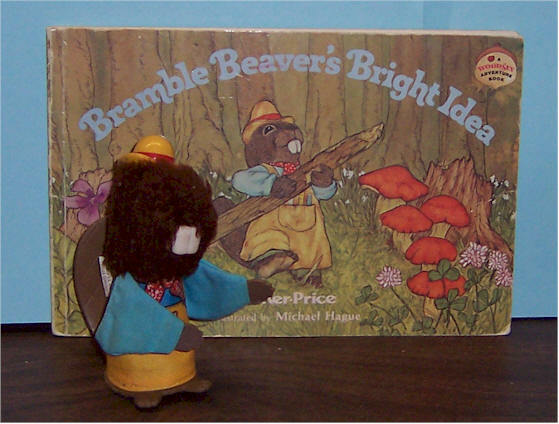 "Bramble Beaver's Bright Idea" 32 page book and Bramble Beaver figure. #607 Woodsey Very Blue Bird. 1981- 1982. 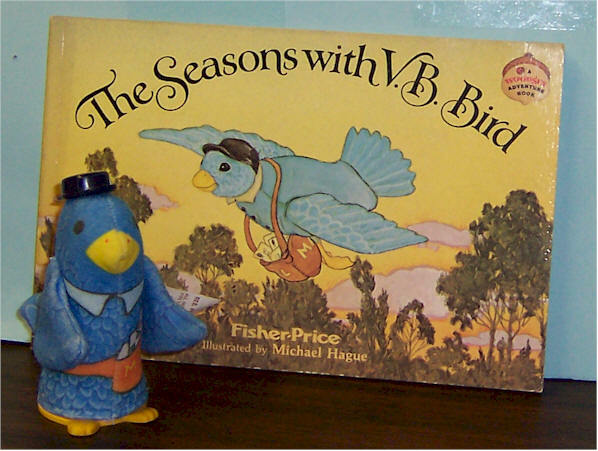 "The Seasons With Very Blue Bird" 32 page book and Very Blue Bird figure with pouch. #960 Woodsey's Log House. 1979-1981. Log house made of foam, fabric, and vinyl table with three chairs, broom (missing in picture) and bucket. Woodsey's mom, dad, and boy, 32 page story book, "Lightning Strikes twice." #961 Woodsey's Store. 1980-1981. 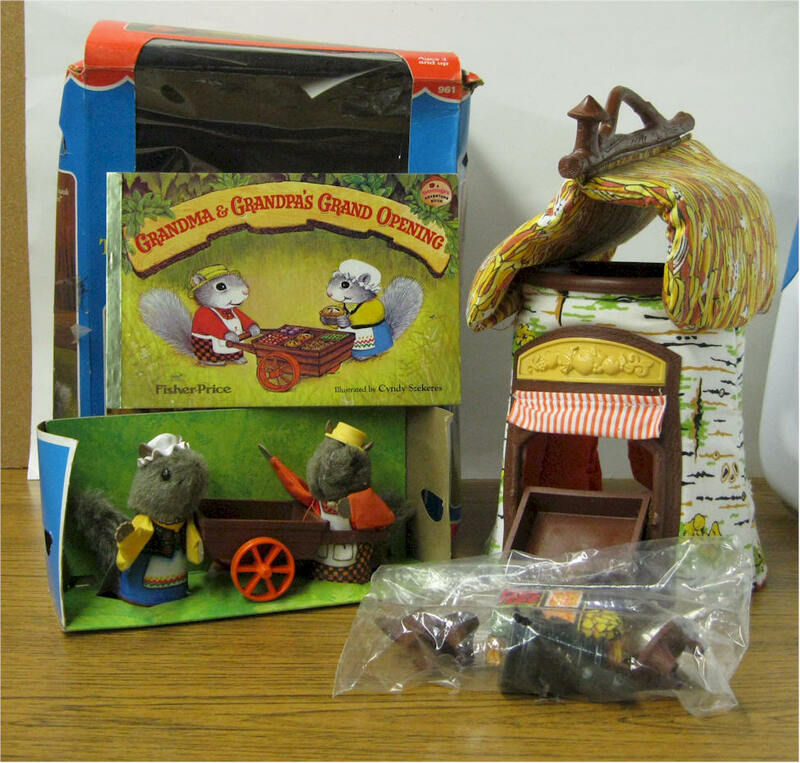 Hollow tree, with vinyl two chairs, push cart, cloth basket of fruit and vegetables, Grandma and Grandps Woodsey 32 page story book "Grandpa and Grandpa's Opening." 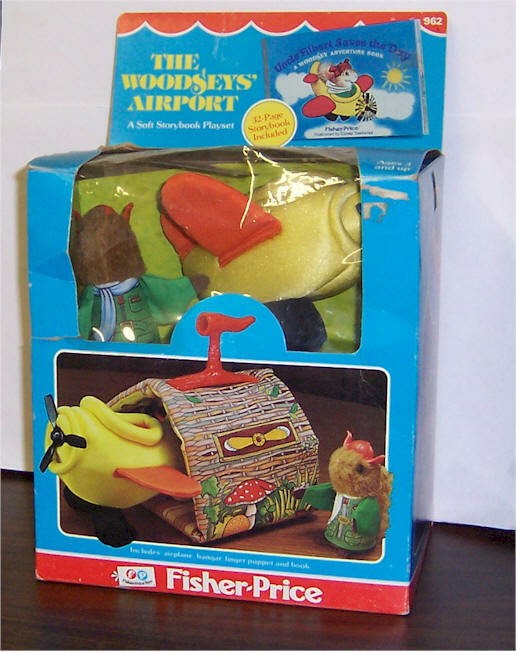 #962 Woodsey's Airport 1980-1981. Airplane and hanger. Woodsey, Uncle Filbert and a 32 page story book "Uncle's Filbert Saves the Day." #605 Woodsey Mayor Goodgrub Mole. 1981-1982. 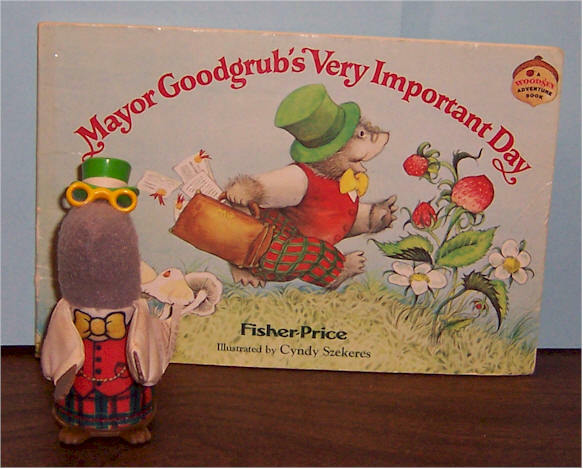 "Mayor Goodgrub's Very Important Day" 32 page book and Mayor Goodgrub figure. MINT IN PACKAGE. NEVER OPENED. #962 Woodsey's Airport 1980-1981. Original Box. Airplane and hanger. 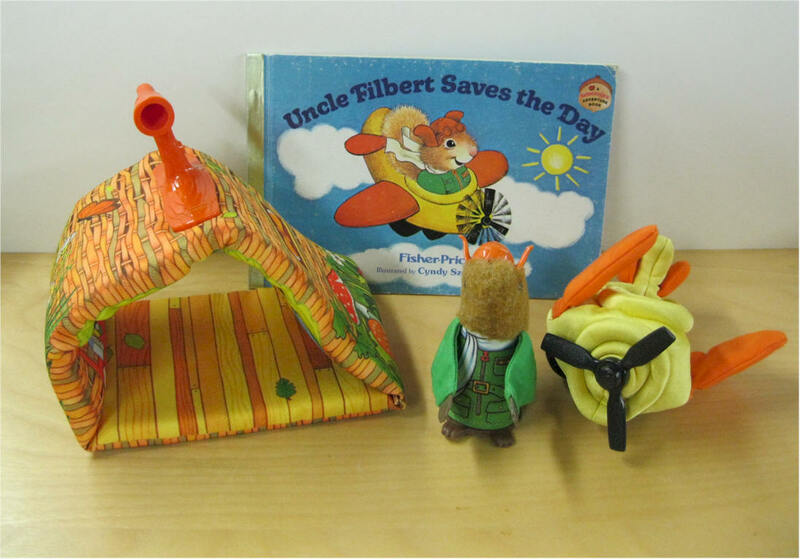 Woodsey, Uncle Filbert and a 32 page story book "Uncle's Filbert Saves the Day." Excellent Condition. 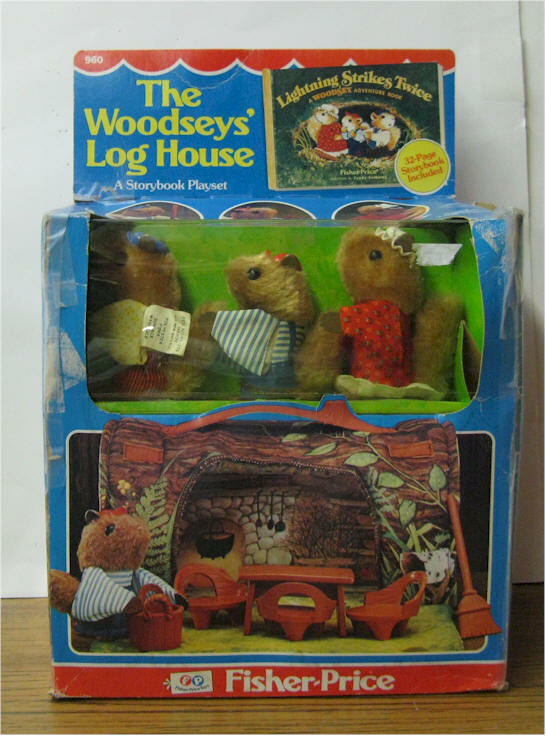 #960 Woodsey's Log House. 1979-1981. Log house made of foam, fabric, and vinyl table with three chairs, broom and bucket. 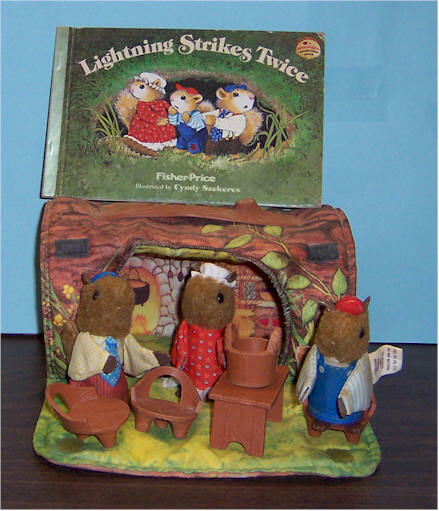 Woodsey's mom, dad, and boy, 32 page story book, "Lightning Strikes twice." Never Played with. MINT CONDITION. #961 Woodsey's Store. 1980-1981. Hollow tree, with vinyl two chairs, push cart, cloth basket of fruit and vegetables, Grandma and Grandpa Woodsey 32 page story book "Grandpa and Grandpa's Opening." Mint in box. Never played with. Accessories in original plastic bag. Box is damaged. 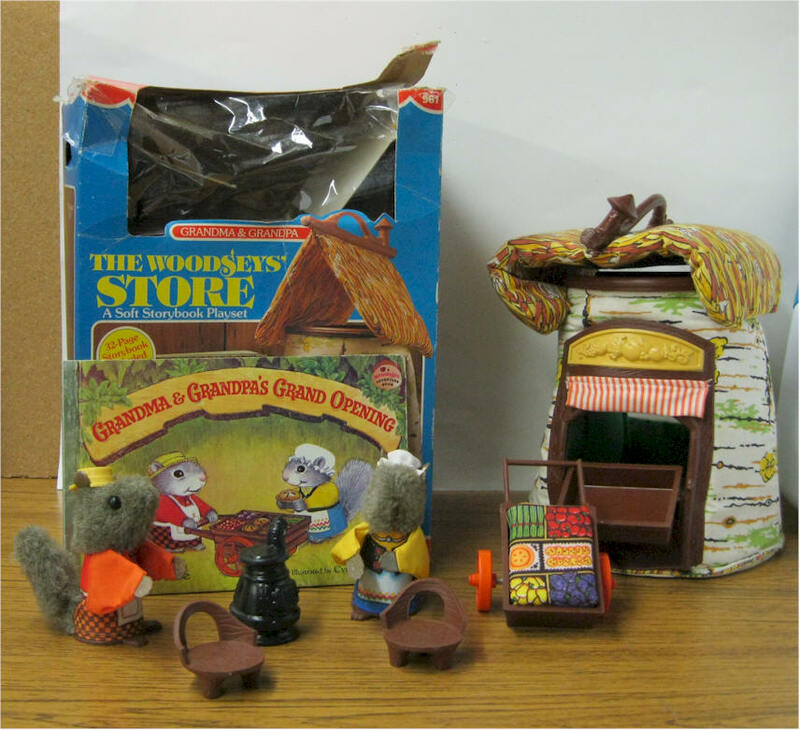 #961 Woodsey's Store. 1980-1981. 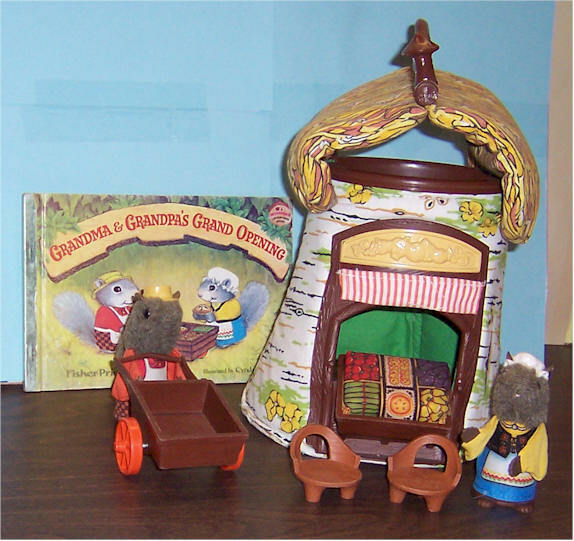 Hollow tree, with vinyl two chairs, push cart, cloth basket of fruit and vegetables, Grandma and Grandps Woodsey 32 page story book "Grandpa and Grandpa's Opening. Clean condition. Missing insert that the animals were in. Very RARE Woodsey Log Library. 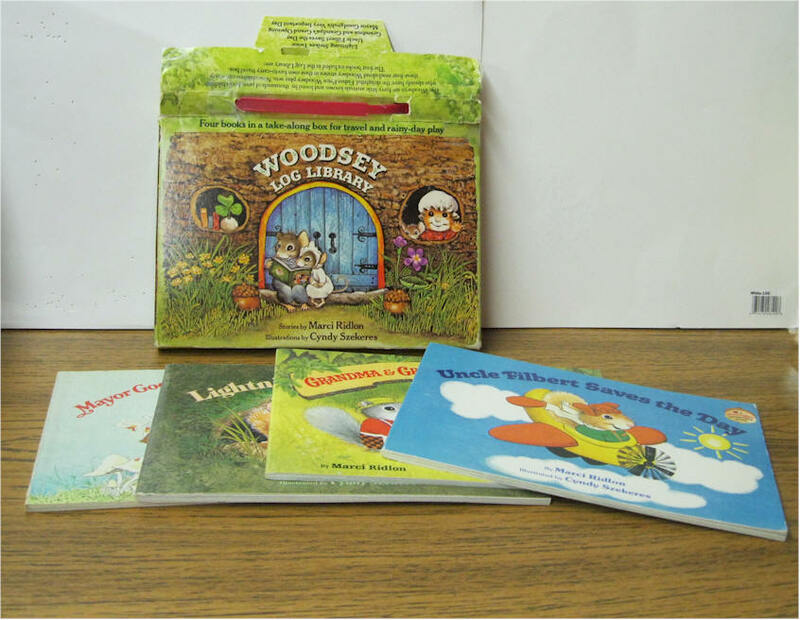 Four books in a take-along box for travel and rainy-day play. 1981. 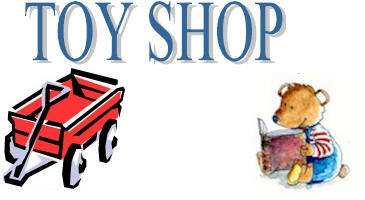 Books include: Mayor Goodgrubs Very Important Day, Lightning Strikes Twice, Uncle Filbert Saves the Day and Grandma & Grandpa's Grand Opening. Books are in excellent condition. Box is in used condition.